20 cars teched in for the Pro Group 7 race at The Barnburner, and the buzz during qualifying was about Chicky's "guarantee" to cut a low 1.5 second lap. In the first round, Chicky got everyone excited with a 1.632 that looked promising, but everyone was waiting for the bye round. Chicky didn't disappoint, as he stepped up and fired off a blistering 1.613 second lap for a new King Track World Record! This cuts the previous record set by P.A. Watson at the Buena Park 2002 Nats of 1.624. 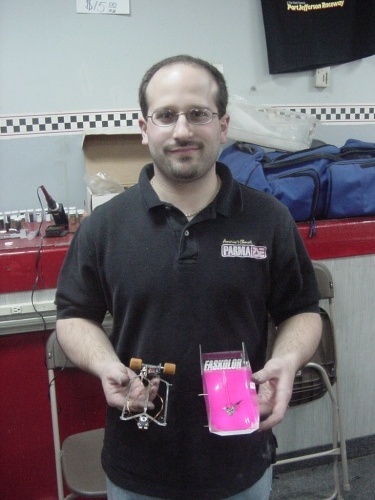 TQ - Paul Ciccarello - 1.613 - New King Track World Record!